Why not? That's the motto of the G 650 GS. Whether in town or on the gravel track: with this machine you have every terrain under control, and you get more than your money's worth when it comes to riding fun, too. The G 650 GS continues the success story of BMW Motorrad's single cylinder engines in impressive fashion - with a solid output of 50 hp at 6500 rpm and a maximum torque of 44 ft-lbs at 5000 rpm. The bike offers absolutely sensational fuel consumption levels: 74 mpg, at a constant 55 mph. The ride feel on the G 650 GS is thrilling, too - wherever you're going. Whether on the road or over rough terrain - the reliable, tried-and-tested chassis with central spring strut on the swinging fork ensures crisp handling. Membership of the enduro family is highlighted in this new machine with the upright seating position and an impressive 6.7" of spring travel at the front with 6.5" at the rear. The moderate standard seat height of 31.5" and the lowered suspension option make this experience accessible to virtually anyone. The G 650 GS is robust, powerful and yet still extremely light, weighing just 423 lbss wet weight (with a full tank). 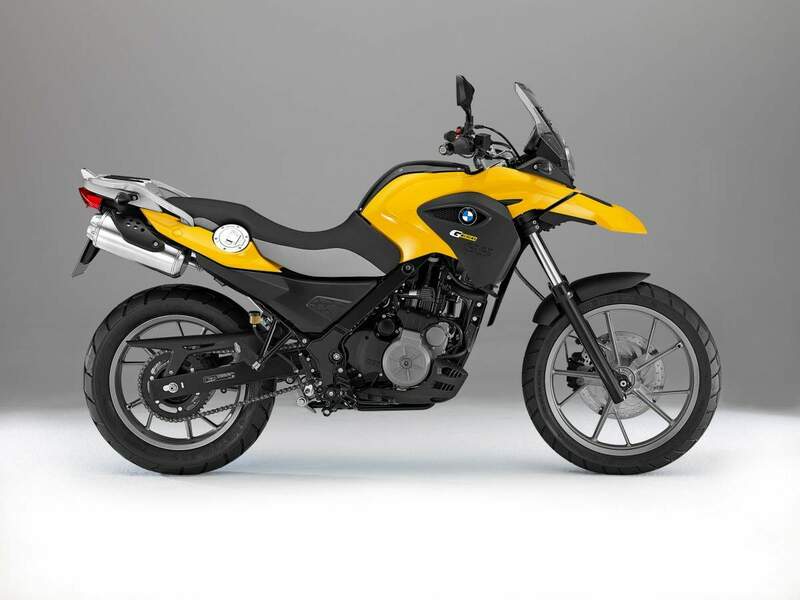 With its low fuel consumption and simple handling, it is not just ideal for beginning motorcyclists. Its slim, athletic stature in a youthful and typically enduro-style design stands for uncomplicated riding pleasure and pure fun. Even the paint finish is a real eye-catcher - whether in Sunset Yellow or Aura White. 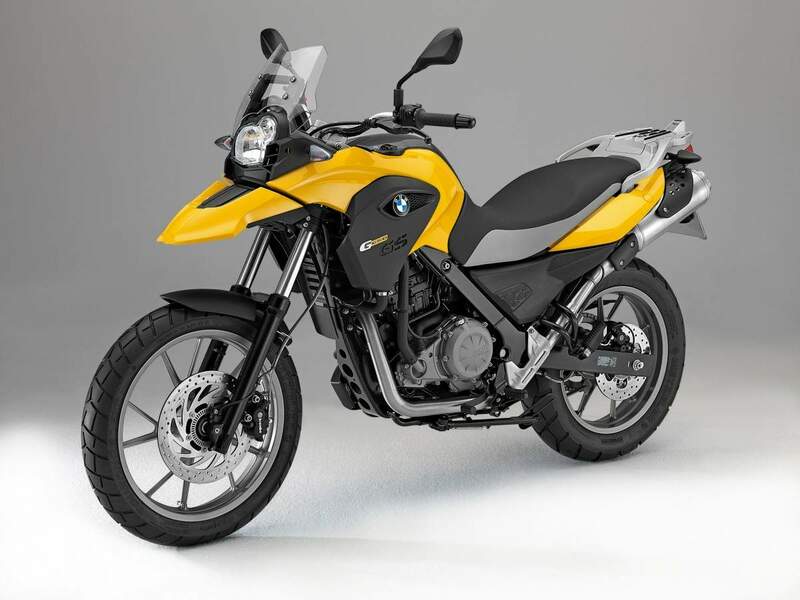 The available accessories for the new BMW enduro include comfortable hand protectors, aluminum engine guard, a high windshield and practical side cases. The factory installed options make the machine a touch safer still: a center stand makes for improved stability, and the heated grips provide a more solid grasp in cold weather conditions. With the G 650 GS you will simply have fun. So just get on and off you go: why not? The new G 650 GS provides levels of performance, smoothness and economy that have never been produced before by a single cylinder engine. 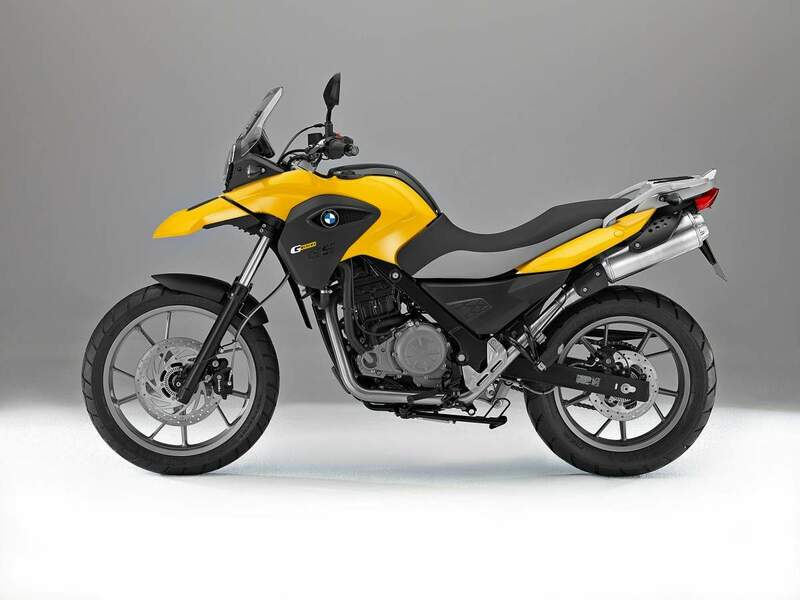 In BMW Motorrad’s quest to prove that we are the most innovative manufacturer, the G 650 GS has a top quality assortment of accessories available, including the option of ABS and heated grips. With low suspension as an option and at an affordable price, the versatile G 650 GS is prepared for anything from the city to the open country. BMW Motorrad ABS as Standard. The bike offers absolutely sensational fuel consumption levels: 74 mpg, at a constant 55 mph. 3.2 liters of regular petrol to 100 km. The paint finish Orange red is no longer available.